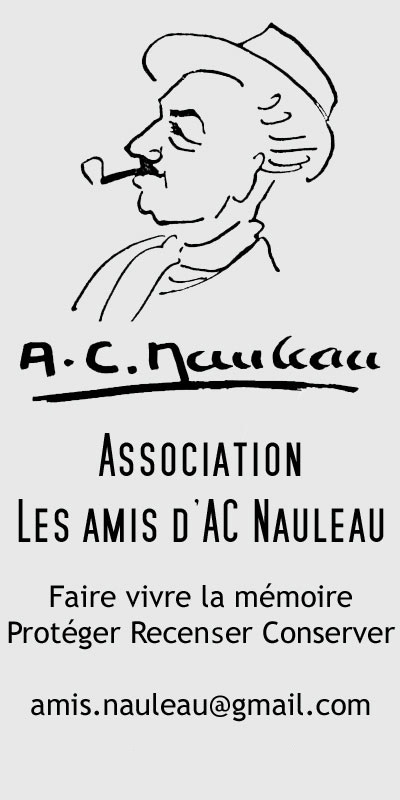 Welcome to the internet site of the Association of « André-Charles Nauleau’s Friends » (1908-1986). Although originally created in French, thanks to the numerous illustrations inserted in the text, it is rather easy to flip through in other languages. André-Charles Nauleau is a well-known French painter. During more than 50 years he painted his region, Vendée, inventing his own drawing « language » to represent the various landscapes the sea, the marshlands and the bocage… a mixture of woodland and pastureland. Sharing information through medias: internet, TV, radio, magazines etc. Publishing documents : catalogues, brochures, books, tapes, videos, films etc. André-Charles Nauleau was born on 6 May 1908 in La Roche-sur-Yon a town situated on the Western Atlantic coast of France. In 1918 he starts learning and working with a drawing Teacher called Léon Haudeville who taught and transmitted him the academic basics in Paul Baudry’s style. From 1947 the doors of the Parisian Salons are being wide opened to him : Salon National des Beaux-Arts, Salon d’Hiver, Salon d’Automne, Salon des Artistes Français, Salon de l’Ecole Française, Salon violet, etc. In 1954 he receives the Palmes Académiques a decoration given to him by Ministry of Education, for his way of serving Arts. 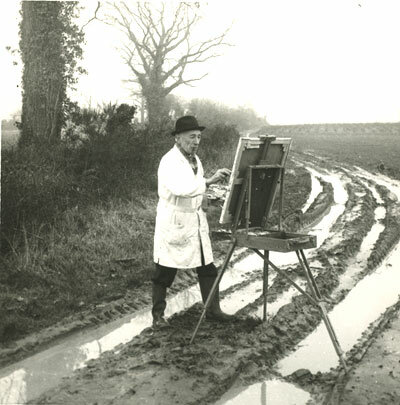 In 1964 he presents his work in Great Britain and participates in a exhibition of the « Royal Society of British Artists » in London. In 1969 a film about his life is shot by The Caméra-Club of La Roche-sur-Yon. 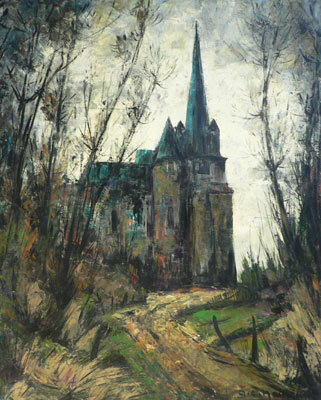 In 1979 one of his paintings is offered to the President of the French Republic. (then Valéry Giscard d’Estaing) by the inhabitants of « La Rabatelière« . 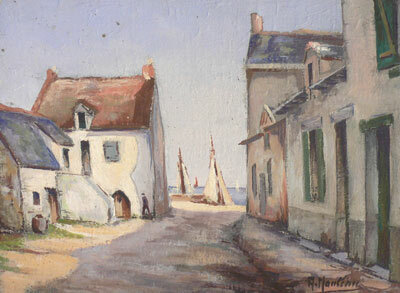 For the artist this gesture is a strong symbol his painting is now becoming the Ambassador of the whole Vendée. Tin tubes come onto the market in 1840 and bring a whole revolution and great evolution into painting… The impressionists can now bring all their material with them anywhere in the fields and into nature. That’s the most important characteristic of this period based on painting in open air, directly after the model. to the weather changes, he lives the landscape, he is subdued by it, admires the view and gives an interpretation of his own feelings and of these lights and views on canvas. 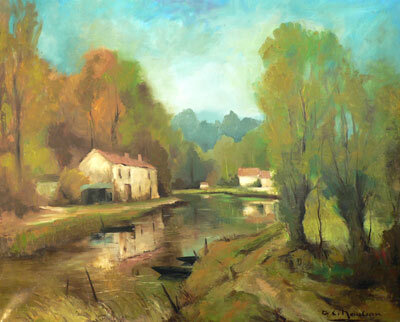 Light and water play an important role in impressionists’ paintings. André-Charles Nauleau is fascinated by the inundated marshland. At the first autumn rainfalls important quantities of water swamp meadows and isolated « bourrines » local thatched roofed low houses and make them float in the middle of this immensity. He realizes complete series of pictures of these marshlands to immortalize each variation of light.